Deal Book. Twitter incorporated in Delaware in 2007, less than seven years ago, and raised early cash in two previous private offerings that we know of: $100 million in October 2009, and $5 million in January 2010, where the latter is in common stock and convertible preference shares (“Series E Preferred Stock” Edgar Company Name Twitter). The power of 140 characters. But it is also said that the company has raised more than $1 billion in private financing, including money used to cash out some early investors and employees, and that some of the stock has been sold privately for an early benchmark market value of about $9 billion (The Wall Street Journal, September 12, 2013, Twitter Files for Initial Public Offering). However, we should not expect that will affect the issue price, or how much the company expects to sell. Early investors include the venture-capital firms Charles River Ventures, Benchmark Capital, Insight Venture Partners, Andreessen Horowitz and Kleiner Perkins Caufield & Byers; and wealthy investors, including funds led by the Russian billionaire and venture capitalist, Yuri Milner, who, apparently, invested $800 million in Twitter in August 2011 through the firm DST (Digital Sky Technologies) Global which also bought an early 1.96% stake in Facebook for $200 million in May 2009, now worth $2 billion (The New York Times, February 9, 2012, DST Global’s Deal With Facebook); and the mutual-fund firm T. Rowe Price Group Incorporated (ibid, WSJ). Emarketer Incorporated has estimated an income of more than $500 to $600 million this year, but less than $1 billion (until next year) because it qualifies for a confidential IPO filing under the Jump Start Our Business Startups (JOBS) Act of 2012, with details to be released no less than twenty-one days before they launch a “roadshow” to actively shop the IPO to investors and price the deal. But we’re not sure if $1 billion is a break-even revenue, or that the company will be able to maintain its 40% per year annual growth in an already crowded ad space after the buzz wears off. The company recently acquired MoPub Incorporated which is a digital ad exchange and has revenues of about $100 million per year connecting businesses and their customers, and it is said that Twitter has more than 200 million active users (aka customers), is rewriting the advertising rule book, and has created a global online communication culture which allows users to send 140-character messages “that have become an indispensable tool to governments, corporations and celebrities seeking to communicate with their audience, and for individuals seeking both news and entertainment” (Reuters, September 13, 2013, Twitter takes first step to go public with IPO filing). 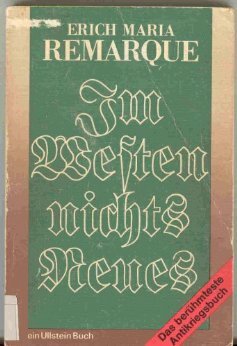 That may be so, and we see the potential of short messages in more than twenty languages, such as Im Westen nichts Neues@Remarque, but the message for investors is still not clear, and for now, with regrets, (N)@RiskWerk. For more on what risk averse investing has done for us this year, please see our recent Posts on The S&P TSX “Hangdog” Market or The Wall Street Put or specialty markets such as The Dow Transports & Utilities or for the real class action, La Dolce Vita – Let’s Do Prada! and It’s For You, Dear on the smartphone business.